Adrift follows Sister to Nun in not being inspired by a specific individual, and has instead been inspired by the current wholesale destruction of Manchester’s heritage and architectural legacy. There are far too many cases these days where old, beautiful and fully sound buildings are being bulldozed to be replaced with steel and glass monstrosities that stick two fingers up to the city’s past or with zombie car-parks and promises of sympathetic new builds until people forget the promises, and often what was previously there. This isn’t a new thing, however. In 1908 the bronze sculpture Adrift by John Cassidy was gifted to the City Council and installed in the foyer of the City Art Gallery. In 1920 it was moved to the new Piccadilly Gardens and stood as the centrepiece for many years, until it was removed to the edge in 1953 and replaced by a fountain. Around 2000, the sculpture was removed from display entirely, along with the fountain, and Piccadilly Gardens was completely transformed into a level area surrounded by what has been described as a “drab”, “ugly” “bare concrete surface reminiscent of the Berlin Wall”, which was fashionable in the architecture of the time. In 2009 the Council put the piece back prominently on display in St Peter’s Square, but once more, in 2011, it was placed in storage as more ‘improvements’ to the city centre were made. It has since been reinstated yet again, and is now situated on the junction of Peter Street and Mount Street. How long this gift to the city remains there, however, is anyone’s guess. Adrift isn’t just an apt name for this wonderful sculpture, but really seems to symbolise the way development in Manchester at the moment seems to have lost its way. We’re at that time of year where traditionally pale ales start to be replaced with darker, sweeter bitters or stouts, but the weather, just like the development of Manchester, can’t seem to make its mind up. 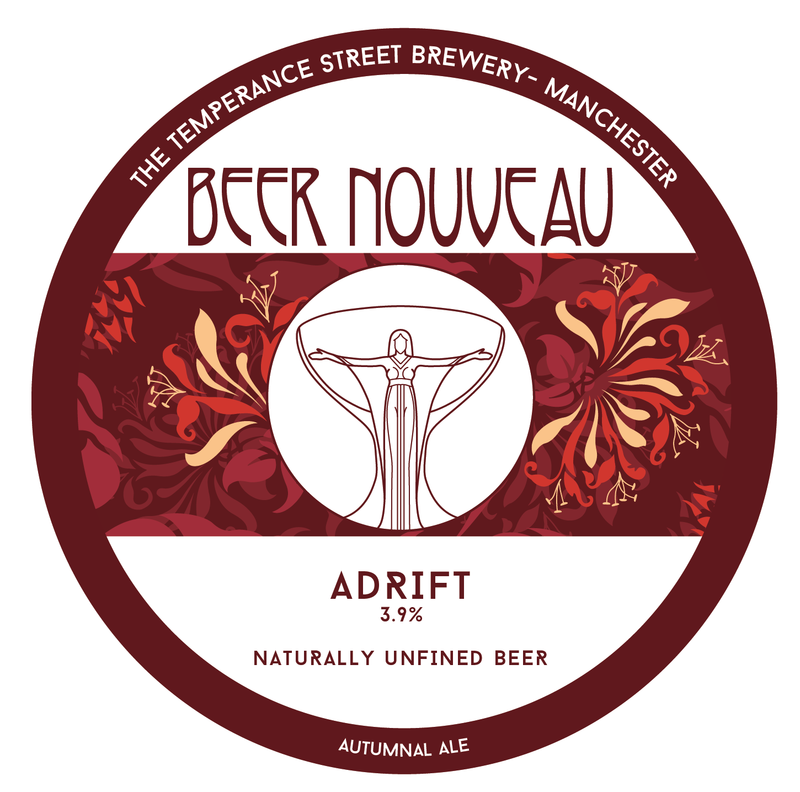 So Adrift is somewhere between, it’s an Autumnal Ale, light and easy drinking, but with a hint towards the warming beers on nights to come.